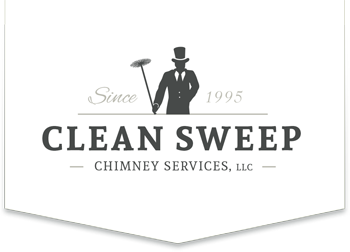 We at Clean Sweep Chimney Services are here to serve our customers to the best of our ability. Here is what a few of our gratified customers think about the work we have done for them. "I would never consider using anyone else." "We recently purchased a home with a fireplace. We wanted to have the fireplace cleaned and inspected before we used it. We called the company the previous owners used and they vacuumed the inside but never went up on the roof to look down the top. They said we needed the entire fireplace sealed at a cost of almost $2,000.00 They told us the mortar was falling out. Since they hadn't even looked down from the top we decided to get a second opinion. 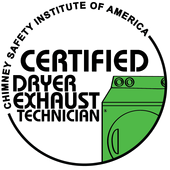 We looked on Angie's List and found Clean Sweep Chimney Services. Kevin was there when he said he would and inspected the entire chimney and fireplace. He said it was in good shape and only needed to be caulked at the top around the crown. In this day and age it is becoming harder to find honesty and integrity, but I found it in Kevin Bourdeau. I paid him more than he asked which I never do because I was so pleased with him. I would never even consider using anyone else." "...professional manner maintaining neatness and efficiency not seen before." "Moving into a new house in the eighties brought the excitement of our first working fireplace. We encountered some problems with the fireplace and decided to have a new chimney liner installed. This was performed by a company in Maryland. We discovered that the liner was installed incorrectly and looked to rectify the situation. We randomly found Clean Sweep and met Kevin for the first time. Kevin thoroughly evaluated our system including video evaluation from top to bottom. He gave us options including the installation of a Bell Fire retrofit system. We agreed to install this system and Kevin and a colleague installed it in a thorough and professional manner maintaining neatness and efficiency not seen before. Upon completion we had a fully functional fireplace realizing our dream." "It could not have gone better." "Polite, professional and punctual. Call Clean Sweep Chimney Services, Kevin and Marilyn will not disappoint you. It could not have gone better. I have no suggestions for improvements. Marilyn scheduled an appointment compatible with my schedule. Kevin arrived on time, thoroughly and efficiently inspected the configuration and condition of the flue and duct and went to work. It would be wonderful if all service providers were as courteous, helpful and proficient. 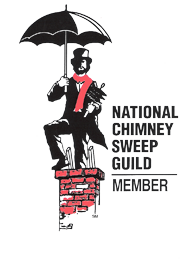 I highly recommend Clean Sweep Chimney Services." "...I appreciate the great job you do." "Thanks for the photos, Kevin. As always I appreciate the great job you do. Professionalism, punctuality and efficiency.... Never mind helpfullness ... Are hard to come by these days." 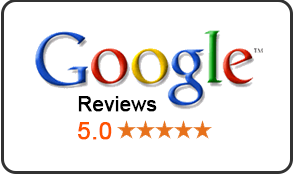 "We anticipate using your services yearly, and enthusiastically recommend..."
"The service you provided cleaning our chimney and wood stove was far more than we expected! After being less than pleased with the shoddy work done by a competitor of yours, we were reluctant to contact you for a yearly cleaning and inspection. But our apprehension soon evaporated when you arrived! As soon as you began preparing for the task at hand – placing protective cloths on the floor, bringing in equipment, explaining what you intended to do, asking questions, warmly interacting with my wife and me – we knew that this would be a pleasant experience as well as a satisfying one. We anticipate using your services yearly, and enthusiastically recommend to our family and friends, as well as anyone else, that they employ your excellent services!" "Professional, knowledgeable, reliable, efficient, meticulous..."
"Professional, knowledgeable, reliable, efficient, meticulous - these are the words that immediately come to mind when I think of Kevin's work. He has cleaned our two chimneys for us each year for more than eight years. One chimney in the guest house with a pellet stove and the other is in the main house with a wood burning stove. We only use quality pellets and hardwood but it is still necessary to have these chimneys cleaned each year." "...did a fantastic job of cleaning our fireplace and chimney"
"Kevin Bourdeau, the owner of Clean Sweep Chimney Services, responded to my phone message the day that I called and set up an appointment. He arrived exactly on time, explained what he was going to do, and did a fantastic job of cleaning our fireplace and chimney. He sealed off everything and there was no dust. He did a very professional job, gave me a written report on the work, and explained everything that he did before he left. If you are looking for someone to clean your fireplace and chimney, I highly recommend him." “Kevin was referred to me by another real estate agent for one of my clients. Kevin did such a great job, I could think of no one else to call when it came to my personal home. Kevin is the most professional, organized and the cleanest chimney technician I know. Kevin inspected our chimney, cleaned out the fireplace and even removed an old satellite dish! 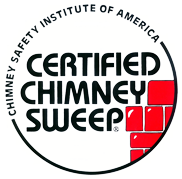 As a realtor I need to be careful about my referrals, but I do not hesitate to recommend Clean Sweep Chimney Services, they are the best around!" "VERY nice Kevin. It looks terrific- what an improvement. A picture is worth a thousand words! You’re such a hard worker and we felt that you do the job the way you would want it done as if it was your own house. We appreciate that and thank you very much." HAVE THESE CUSTOMER COMMENTS IMPRESSED YOU? Give us a try at Clean Sweep Chimney Services. We look forward to satisfying you as well!